THE CHRISTMAS TAG | RAWR BOWS. Someone please explain to me how is it December already. I swear it was January two days ago. The older I get the faster the years go by, and it's a bit scary. Nevertheless, I'm beyond excited for Christmas and December in general. It's my favourite month of the year; everyone is just so happy and jolly, there are pretty lights everywhere, I have an excuse to stay in bed and watch Christmas movies. It doesn't get any better than that. 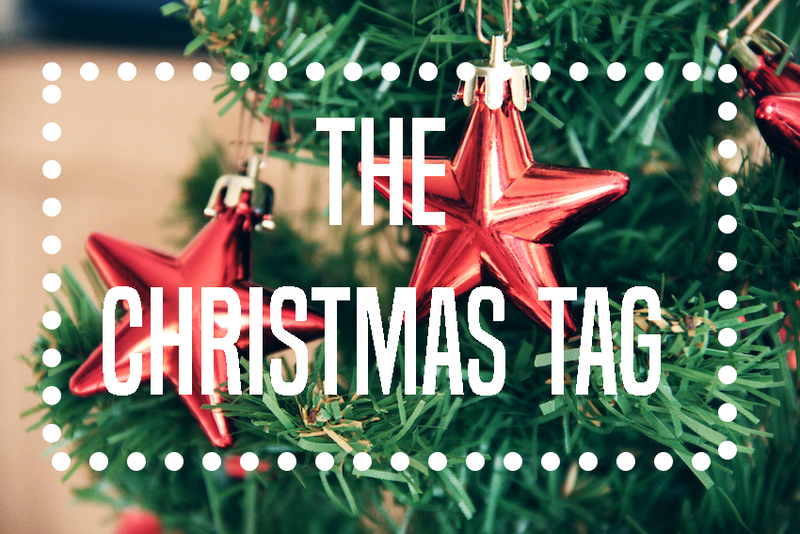 I recently saw Megan from Lazy Thoughts doing this Christmas Tag and I really enjoyed reading it, so I thought it would be fun to do it too! The Holiday, I love it so much I actually watch it all year around. I also cry every time I watch it, it's just too cute. 3. Do you like to stay in your PJs on Christmas day or dress up? I would like to stay in my Christmassy PJs but I have to get dressed. I don't dress up but I wear 'normal' clothes, as in not a glittery jumper with a big Santa Claus on it. That's an easy one! My sister. She's the only one I buy presents for anyway! 5. Have you ever built a gingerbread house? No, I'm that person who waits for someone else to build it and then eats it. I would like to build one though, it does look fun. Thinking about it, I would probably end up eating the roof or the door before I've even finished building it. 6. What do you like to do on your Christmas break? What I like to do is completely different to what I actually do. I would like to go home and relax, watch some movies, spend time with my family and just chill. In real life, though, I do spend my Christmas break at home but not chilling. I spend it revising because I have exams in January. Gotta love uni! To have time to revise all my modules? Nougat, I could eat it non stop. I also like marzipan though. 9. Candy cane or gingerbread man? I'm not a fan of ginger and candy canes look really festive so I'll go with candy cane! 10. What is at the top of your Christmas list? To get straight As on my Jan exams. However, if we're talking about an actual present, I would have to say either Chanel Chance or Laura Mercier Vanille Gourmande. I'm running out of my current perfume so I 'need' to get a new one.